As part of its latest iOS app update, Facebook rolled out a new feature that will reveal context cards about relevant posts or information from friends when you check in at a location or post an activity update like watching a movie or travelling to another city. These context cards will automatically appear on top of your NewsFeed after you update your status or check in. Facebook says they will only display a few of the most relevant posts and information at once. #Facebook context cards will provide you the most relevant posts from your friends. If you checked in the Yosemite National Park, for example, you would see posts and photos from your friends who have visited the park before. If you update your status saying your are reading a book or a movie, you would get to see a list of friends who have also read the specific book or watched the specific movie. Facebook will also use these cards to remind you of events such as birthdays or events you registered for in Facebook. This new feature is intended to provide more insightful information to users and encourage them to interact more with their nearby friends, another new feature Facebook started to roll out a few weeks ago. 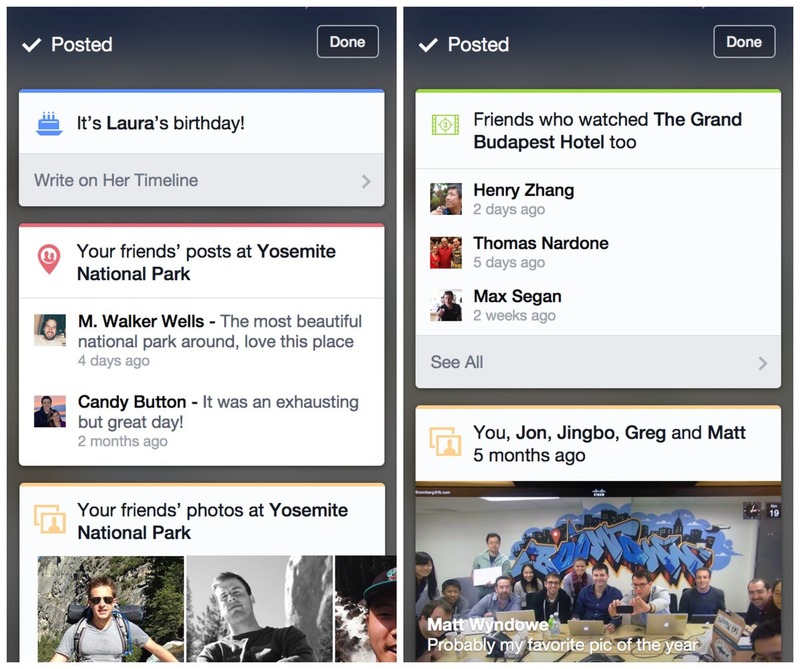 #Facebook Context cards intend to encourage users to interact more with their nearby friends. Context cards are only available for iOS users for now. Facebook made a point into claiming this new feature will not affect any privacy settings and will only display information that has been previously shared by your friends. Have you noticed the new feature?